Barcelona Coach Ernesto Valverde has debunked claims his side are not strong to defend their La Liga title despite two consecutive draws. The reigning Spanish Champions have endured successive stalemates against Valencia and Athletic Club despite extending their lead at the top to six over Real Madrid, who have leapfrogged their city rivals. But Valverde feels a six-point gap is a healthy lead as they head into the crucial stages of the season. 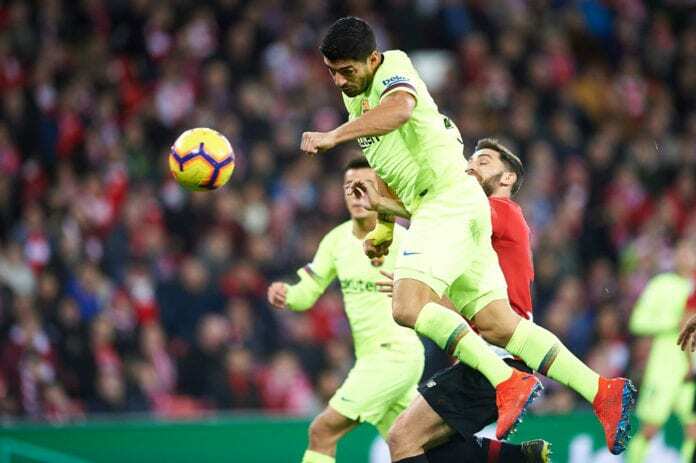 “We began the matchday six points clear and we end it in the same position,” Valverde told reporters, as cited by Football Espana. “That means, if my maths is accurate, we are still in a very strong position but of course we know we must keep winning games from now until the end of the season. “In the first half we did not have clarity nor rhythm and they pressed us high up the pitch but in the second half, I believe we improved. “I do not want to put this down to our fixture schedule, all teams have this if you want to be challenging for every trophy, so I do not believe it is an issue. “Lionel Messi? He played because he is at 100% fitness, he was completely ready to play.